The world has a new film festival in the former Kazakh capital, Almaty, with its main idea combining an international competition program focussing on films that are co-produced between various countries. The city has a cinematic tradition, since the major Soviet studios left Moscow during WW II and settled here. Kazakh cinema has recently gone from strength to strength, winning awards at international film festivals. The opening film was "Ayka" by Kazakh-born Russian filmmaker Sergey Dvortsevoy. 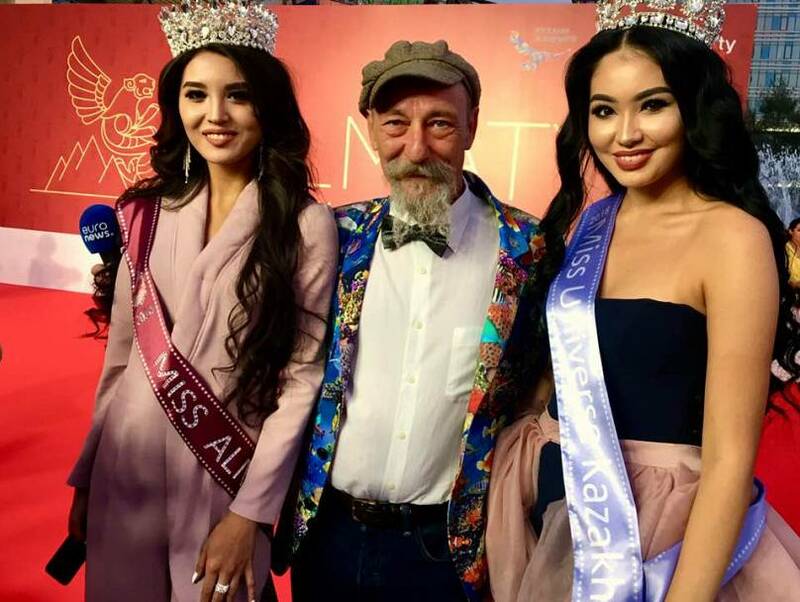 The movie, about an illegal female migrant worker in Moscow who has abandoned her new-born in Kyrgistan won Samal Yeslyamova the Best Actress award at Cannes this year. "My film fits this festival exactly because it is a co-production with many countries Germany, Poland, China, Russia, and Kazakhstan and this festival is like this. I also want to support this idea to attract, you know; to make films here, to grow the film industry here," says Dvortsevoy. Among the jury members were Nastassja Kinski and French producer Pierre Spengler, known for producing the first "Superman" and several "Musketeers" outings. "Festivals that are a little less, shall we say, international than Cannes, than Berlin, have the advantage of being able to create an atmosphere of more personal contacts and that allows a lot of things to develop, precisely the sort of co-productions that Almaty is targeting. I think this is very interesting," said Spengler. "We are a very much interested in co-production because we are a very small market in the film industry and if we shoot in co-production with other countries then we will get their markets, too. Between Russia and China, this is a huge market," says the festival's General Manager Ernar Kurmashev. The festival also organized various business meetings and workshops. One of the workshops was held by Rob Minkoff, of "Lion King", "Stuart Little" and "Mr Peabody and Sherman" fame. Minkoff, who has also made live action films, explained the difference between making these different genres. "The biggest difference is that in animation you really work with all the different individual artists one at the time whereas in live action you are bringing the whole group together, so it's like being a conductor of an orchestra but in animation you are almost working with one soloist at a time," he says. What must a film project have to attract a host of international co producers? Akan Satayev, the festival’s president, is also a filmmaker. "What is fundamental is that the film has to have a very strong story. But the story must be also be universal, international and understandable for everybody around the globe," he says. "Businessmen" was directed by Satayev himself. The story is set in the 1990s during Kazakhstan’s economic crisis, and follows three young friends and their struggle in the business world, ready to sacrifice a lot to make it big. The movie closed the festival.